We would like to develop stickers that fit around food cans. The main purpose of the sticker is to provide scripture from the bible to the reader. But we want to deliver it in a great way. First off we need a logo for God Can: We want the word God and an actual can with the word "Can" on it as the label of the can. The can needs to be 2/3 of the logo, so God will be 1/3. 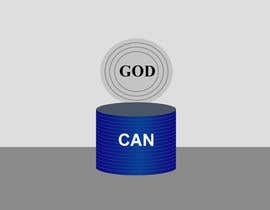 IF you open up the can the word God will apear on the tin rising above the can(round bit of the can). 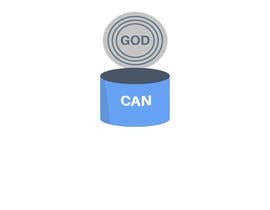 The word can will be on the actual can as a sticker.